Porosity is connected to the hair’s ability to absorb moisture and nutrients and a deep conditioner for low porosity hair may help those who have issues with porosity. If your hair is low porosity, that means that the pores which resist moisture are not open and that your hair is sensitive. It’s very hard for people to battle this, women with curly or African hair know that this is an everyday issue. Deep conditioners can help you regain that healthy, luxurious hair. There are some brands that are better than others and you may want to check out a lot of products to find the ones that fit you best. However, we have made it easy for you and we have done our research to see which ingredients are good, which ones are not good and which ones should have a great impact on your hair. If you don’t know what is “Low Porosity Hair” You should read this article the first. We have made a list that contains 12 wonderful products, those you will surely be happy with. You can do your research by reading the reviews which contain personal preferences of other people since we have already done the “science part”. A low porosity conditioner often has keratin in it, you’ll see in the list. This is one of those things you cannot go wrong with since keratin is a great protein that can deeply moisturize your hair. This conditioner penetrates into the hair, restores the elasticity and the shine, but also protects it. The UVA and UVB rays cannot do anything to your hair from now on, you can prevent the split ends and the damage your hair endures. Low porosity hair is often curly/African hair which often becomes frizzy, and this conditioner solves that problem too. It’s great for dry, damaged and dyed hair. If you don’t know, you can use a hair mask as a deep conditioner, if the ingredients are similar. This SheaMoisture product is a great mix of natural substances that will help your hair regain the healthy look it once had. You’ll notice that SheaMoisture will be on our list often: it is a really good company that targets African/curly/low porosity hair. This product is full of oils and honey, which means that the hair will be nurtured by healthy ingredients with no chemicals. No more frizz thanks to the Shea Butter which is in all of the significant products this company makes. The formula is full of detox-helping ingredients and you’ll surely see a change. This product is a professional one, it is used by many stylists and it is one of the most famous choices to be used as a low porosity deep conditioner. It says that this product will change the way your hair looks and feels: the texture will improve, it will be soft and silky. How is that? Well, you have surely heard of argan oil, one of the most famous ingredients when it comes to the world of hair products. Argan oil nourishes the hair and the roots, which is very important, and it helps the hair detangle, hydrate, grow, and become more elastic. Many nutrients that are in the hair are also relevant and you get to put them directly on your hair without damaging it with chemicals. Only 5 minutes is enough to make your hair grow again. If you like to use heat on your hair, this may be the right option to restore the hair’s health. This conditioner for low porosity hair is also a protein masque, which is rare to see. It is used by professionals and it repairs the hair all the way to the cuticles. It also soothes the scalp, helps to bring back the shine and the soft feel. 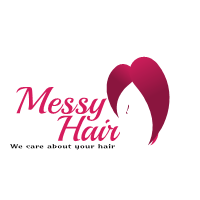 It is made for all hair types (curly, wavy, short, straight, long, textured), but it works really good on damaged and dyed hair. It is meant for those who need an extra boost in their routine. It is paraben and sulfate free, it will do zero damage to your skin and your hair! The company made sure to use only high-quality ingredients and the Morrocan oil which is in this product, along with vitamin E, will help to restore a wonderful, healthy look. This company has been founded in 1943 and it has been creating cruelty-free hair products since then. Each year, they improve their formula significantly and that’s why they have such good products today. This conditioner, just like the previous ones, is made from safe, healthy ingredients only. It is made for dry hair, damaged hair and it is considered to be one of the best conditioner for low porosity hair. Your hair may lack moisture since it is low porosity, which means that you need a formula that helps with nutrients. This is the paraben-free formula which works really great with color treated hair too. It helps your hair regain the moisture, it is anti-frizz and it has ingredients that are famous as hydrating substances: aloe plant as an example. It will help those who have frizzy hair to maintain a smoother look, same with dry, coarse and damaged hair. Chia seeds are great for your body because they have healthy oils. Chia is a great ingredient to put in hair products: it helps with shine and smoothness. It doesn’t matter do you just need a conditioner for low porosity hair, or you need a conditioner for colored hair, this is a one-fits-all type of a product. You can regenerate your hair and fill it with moisture thanks to the great formula which hasn’t been processed as many products have. It has no parabens and you’ll surely see the shiny, silky look your hair will get after just a few uses. The omega fatty acids in this product help your hair to get rid of any toxic substances that may have been left by hair dye, hair chemicals and so on. Dove is one of those companies you can surely believe since their products are very well known and they are famous all around the world. This conditioner, along with the rest of their products, has been altered until perfected, just like the customers wanted. It is a conditioner for damaged, low porosity hair. It is formulated with Keratin Repair Actives. Keratin is an important protein that our hair needs and it is one of the most beneficial ingredients to start the repairing process too. It helps your hair feel smooth, nourished and it makes it stronger too! Forget about split ends and frizzy hair, this conditioner can be used only when washing your hair, and it will still leave a great impact! This product is aimed towards African girls and girls with curly hair the most, but you can use it if you have low porosity hair too! It’s a conditioner infused with Aloe Vera, a natural ingredient with helps your hair get moisturized. It also has Argan oil, Olive oil, Jojoba oil, and virgin coconut oil! These are really important for your overall health and each one of them has special benefits which help not only your hair but your scalp too! The ingredients are very natural and this product can be used on all hair types! If you are looking for a conditioner for low porosity hair, this one will surely catch your eye. It is a conditioner that has a perfectly blended formula. It combines oils and natural substances that are important for our health. No chemicals are in these products, only naturally derived ingredients and 18 different silk amino acids! They make a great job at conditioning the hair deeply, which is perfect for those who have low porosity hair. No more frizziness: shiny, soft, silky hair is on its way. Jojoba and argan oil will make your hair stronger and will moisturize your scalp to keep it nourished as well. The warm vanilla aroma is something that everyone loves to sniff while they do deep conditioning on their hair. As we said, Shea Moisture made sure to take care of those who have low porosity curls and coils. Although they try to find those who suffer from frizziness and damage, their products are made for all types of hair. Besides nurturing the hair with special oils, these products promote scalp health and are ideal for those who lack moisture in their hair. The company uses natural products only and focuses on the gifts of Mother Earth. Tea tree oil is antibacterial and famous for its uses on acne and sensitive skin, so no worries if you have dandruff issues. This hair masque is a great way to condition your hair, and since it is aimed towards people with dry hair, it will do a perfect job for those with low porosity hair too. Some people think this is the best conditioner for low porosity hair because of the number of reviews there are about it. It is crafted in a salon, for other salons, and it is enriched with a protein complex that keeps your hair luscious and moisturized. This masque is rich in glycerine and it hydrates your hair deeply. The moisture will penetrate deep and help your closed pores get some of those nutrients. You don’t have to worry about losing the curls and the texture, the natural hair movement will be preserved. This masque is also perfect for those who enjoy using heat on their hair: it saves your hair from the damage and helps it regain the shiny, silky feel. This conditioner is infused with black raspberry and white tea for a very simple reason: these are famous for benefiting the body by getting rid of the toxins in it. It also calms down your scalp and helps you detox the skin around your hair, which is a great benefit. The long-lasting fragrance is something that many people enjoy, but you have to keep it in mind if you get easily irritated by these. You already know that we cannot choose the best deep conditioner for low porosity hair ourselves because you have your personal preferences and you know what your hair needs. However, this list is full of really good options that you can use anytime to get those perfect results. You need to keep in mind that the reviews on these products are the best way to get to know the formula since people always give you a bit of „background info“ on their review and you can see which ones are working best for which hair type. If you are looking for great hair dryers, check these articles. The best hair dryers.